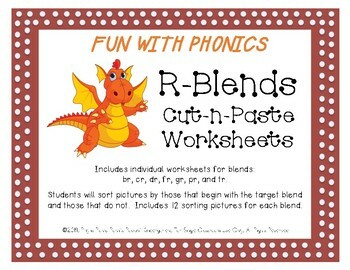 This resources includes individual worksheets for blends: br, cr, dr, fr, gr, pr, and tr. 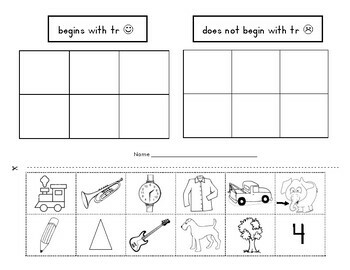 Students will sort pictures by those that begin with the target blend and those that do not. Includes 12 sorting pictures for each blend.